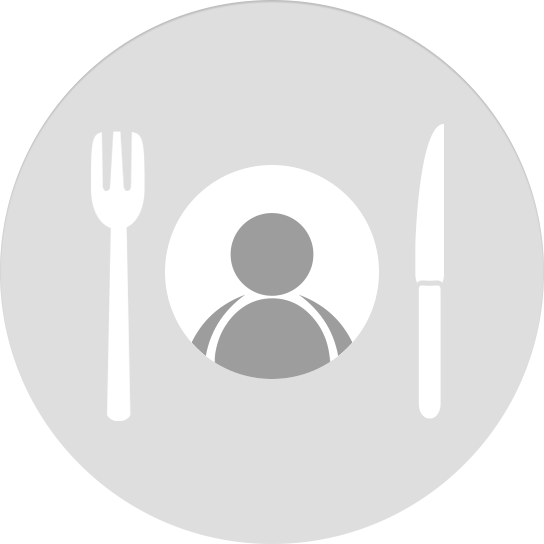 EatOnTheWeb is an easy to use, affordable online ordering platform for restaurants. With an EatOnTheWeb site, you have an online ordering site that is customized for your business and reaches customers across a broad range of devices. Ordering can be fully integrated with your restaurant so that web orders automatically print in your kitchen or appear on kitchen screens. You have control over your menu items and pricing online without having the hassle of building and maintaining your own web or e-commerce site. Give your customers the ease and convenience of placing orders online, while reaping the benefits and added revenue of an online presence. 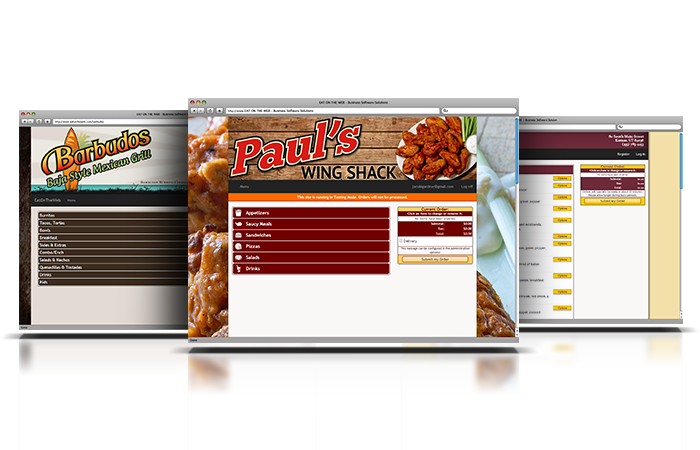 Your EatOnTheWeb site will be customized for your restaurant. We will theme the entire site to match your existing web site or brand. We will also use your logo to create an attractive and appealing header for your site. 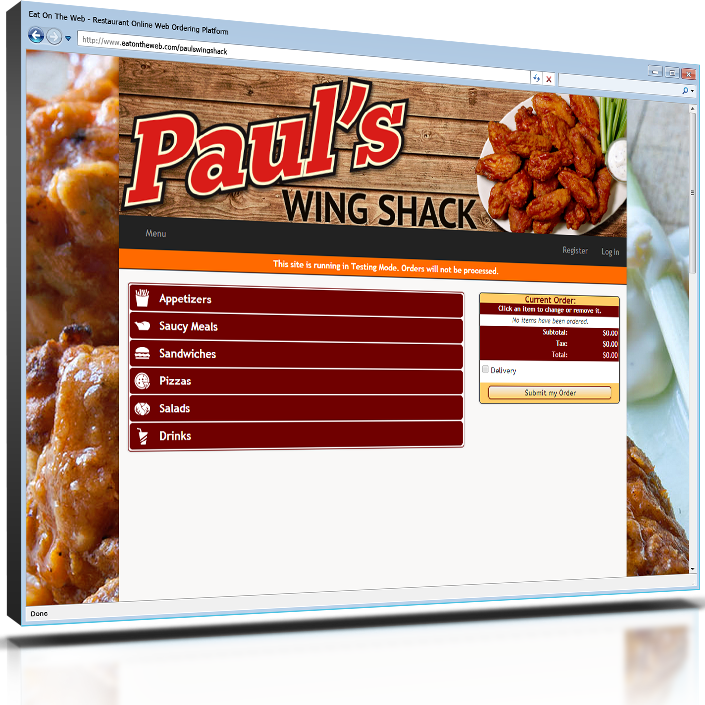 If you already have a web site, you can enable online ordering by just adding a link to your EatOnTheWeb site. If not, we can create your entire site for you. Contact us today for more information. Discover how simple it is to give your customers the online ordering option they've been waiting for. Give us a call today! Here is what makes our online ordering platform the best out there! Uncomplicated elegant layout to help you present your menu in the best way possible. Send us your logo and choose your own theme to best match your restaurant. Compatible with all desktop, tablet, and mobile phones. 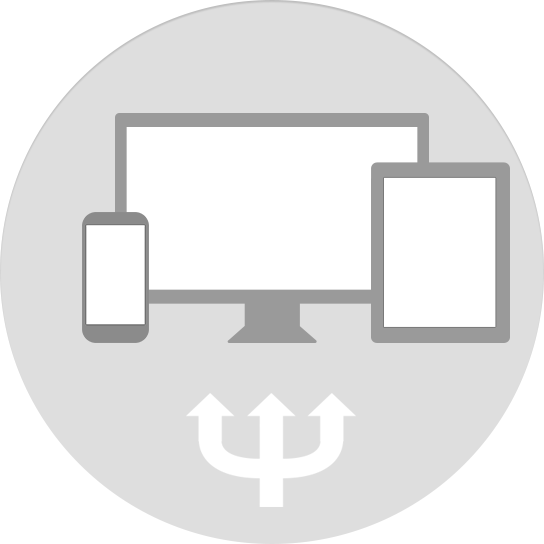 Users will have the best experience possible regardless of the device they are using. Simply log into our admin area to make any menu modifications. 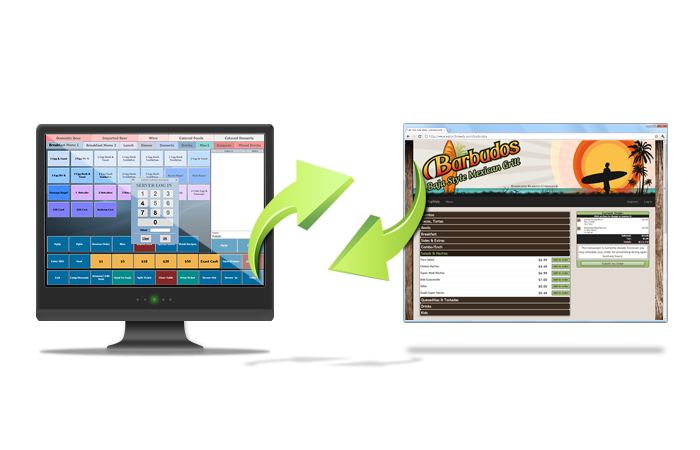 Business Plus Accounting POS users' menus will automatically sync to their EatOnTheWeb site. We've created the EatOnTheWeb platform using a responsive framework. You can rest assured that no matter what device your customers use to visit your site, they will receive a beautiful and responsive layout that is easy to understand and beautiful to look at. 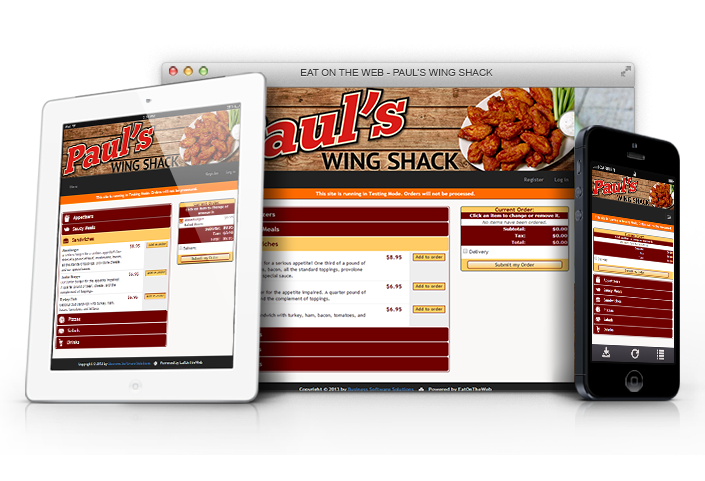 Your customer places an order through your EatOnTheWeb site on any device, whether it be phone, tablet, or desktop. 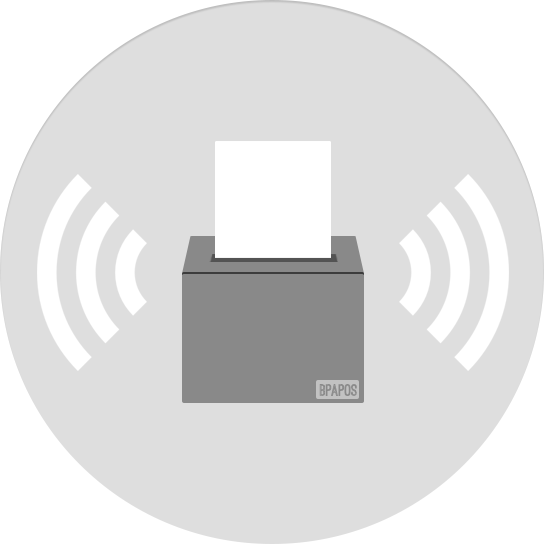 Once the order is placed, you will receive a notification or if you are running BPA POS it will appear directly in the software. Your kitchen will prepare the order, and the customer will receive their EatOnTheWeb order! Call (801) 336-3303 and get started today! Database Access & Admin Tools built in. Customers can create accounts, and log in any time for future orders. Add Your Own Style and Content! Automatic email confirmation on order completion. Built with modern and efficient back-end framework. Intuitive UI built from the ground up with a responsive framework. Dedicated hosting servers to reduce downtime and scheduled maintenance. Data backed up regularly on redundant servers. Real-Time Access to sales data generated from EatOnTheWeb. EatOnTheWeb uses your menu you have already defined in BPA. You will receive notification any time an online order is placed. Servers can identify orders as web based orders. Tickets will print directly to kitchen after the online order is placed. No Additional Menu to define! Orders can be placed real time or customer can schedule a pick up time. Ticket automatically prints to the kitchen when an order is placed. Your customers are ready for online ordering. Are you?